I’m back today with another Chocolate Chip Cookie Experiment recipe! The verdict? Well, I’ve actually got a hung jury on this one. This batch got rave reviews from all of my taste testers. My husband particularly likes them. And considering all the chocolate chip cookies we eat around here, that counts for something. In fact, on Day 2, he ate my entire container (save one) of “test batch” cookies that I had reserved to test how long these cookies actually stay soft. When I told him that he botched my test, he said, “Here’s the result: they’re still soft.” Thanks for that, hon. I actually saved my last test cookie until Day 5 (thanks to a stomach bug that kept me from eating it on Days 2-4), and he was right… still soft. Impressively soft, to be honest. And I can only chock that up to the corn syrup, because there’s nothing really different about this recipe from the other CCC recipes I’ve tried except for that one ingredient. And we are talking drastically soft cookies here– much more than the others I’ve made. But despite their unbelievable softness, these actually weren’t my favorite. 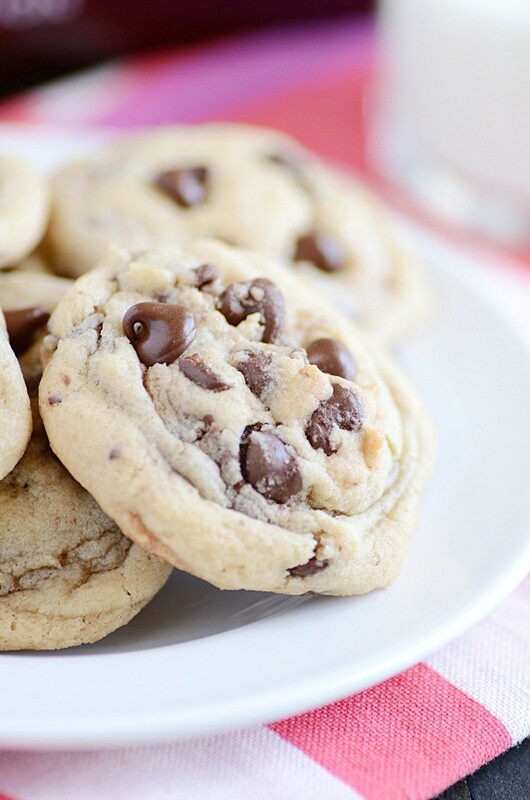 They’re plenty good– as you can expect most chocolate chip cookies to be. But they lacked the buttery crispiness that I really enjoy in a cookie. There’s never any crunch to them– not right out of the oven, and certainly not days later. And there’s not much salt, which is a strike for me too. 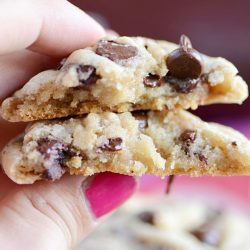 So, honestly, I’d rather eat these KAF Chocolate Chip Cookies or these AllRecipes.com Cookies. But… maybe that’s just me. How do you like your cookies? If soft is what you’re looking for, this is totally the cookie recipe for you. 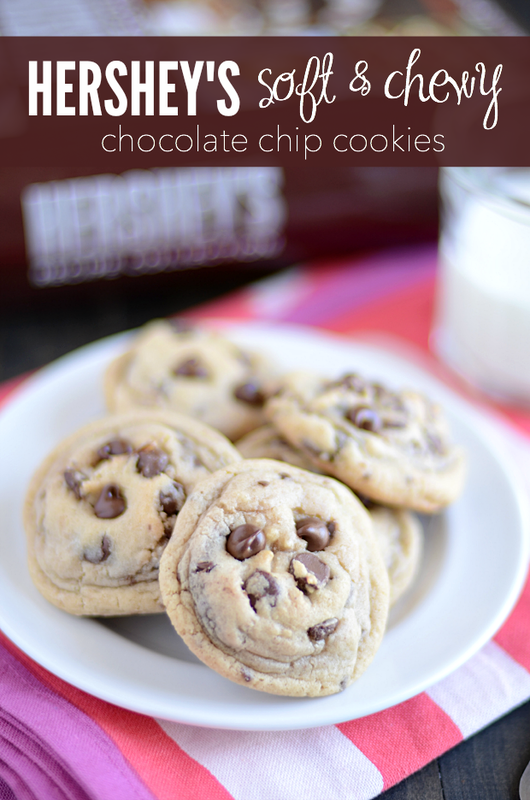 They are by far the chewiest, softest cookies I’ve ever tried, and you won’t be disappointed! 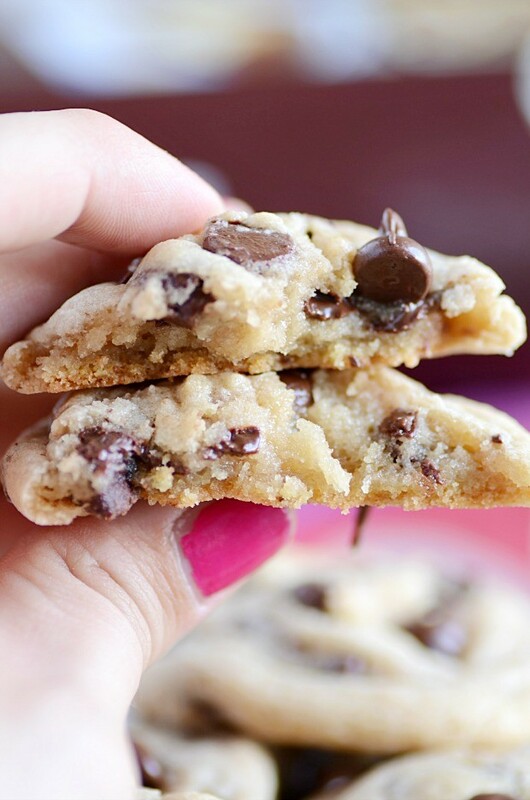 These are the softest, chewiest cookies you'll ever make! Just as soft on day 5 as they are fresh from the oven! Beat butter, brown sugar, and granulated sugar in a stand mixer bowl until light and fluffy. Add the corn syrup, egg, and vanilla. Mix well. In a separate bowl, mix together the flour, baking soda, and salt. Gradually add the flour mixture to the butter mixture, beating well until dough forms. Scoop dough on to an ungreased baking sheet, 2 inches apart. Bake for 10 minutes, until edges are set. Remove from oven and tap baking sheet lightly on the counter to release any air. Allow to cool on pan completely.